PM Orbán wants his country to be part of Vietnam's development over the next 30 years. 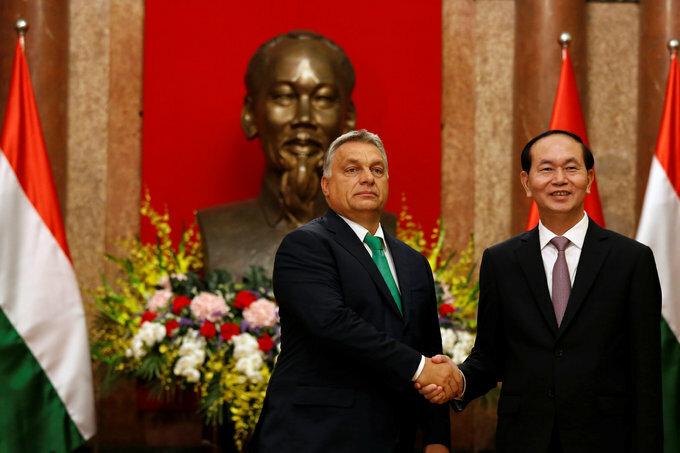 Hungarian Prime Minister Viktor Orbán expressed interest in developing deeper ties and building a strategic partnership with Vietnam during a meeting in Hanoi on Monday. 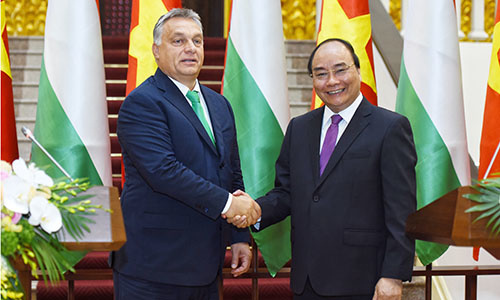 Vietnam is an important partner for Hungary in Southeast Asia and has huge development potential over the next 30 years, the PM said during a press briefing with his Vietnamese counterpart, Nguyen Xuan Phuc. 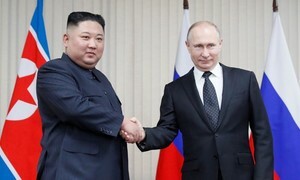 During their meeting, the two leaders signed 10 cooperation agreements, one of which will double the number of scholarships Hungary grants to Vietnamese students to 200. Orbán is in Vietnam for a three-day visit which will wrap up on Tuesday. He also met with Vietnam’s top leaders, and attend a forum with Vietnamese and Hungarian businesses. Vietnam and Hungary established diplomatic ties in 1950. Bilateral trade increased 36 percent to $266 million in 2016 compared to the previous year, and revenue rose 60 percent to $145 million in the first half of this year, according to a report on the government's website. Vietnam mainly exports garments, footwear, computers, electronic products, transport vehicles and spare parts to Hungary, and imports medicine, machinery, chemicals and animal feed. At the end of 2016, Hungary had registered 15 investment projects in Vietnam with combined capital of over $50.66 million, mostly in the processing and manufacturing, communications and real estate sectors. 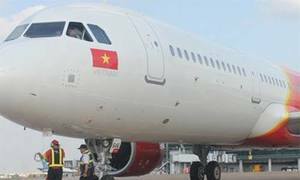 The two countries have also signed deals worth around $600 million for a tumor hospital in southern Vietnam and projects involving water management, pharmaceuticals, health care, information technology, agriculture and defense. 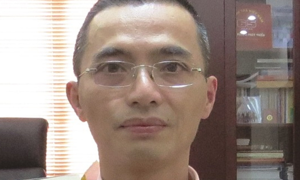 More than 4,000 Vietnamese nationals are currently living and working in Hungary.